A cut-price Nissan Qashqai, and what's not to like about that? 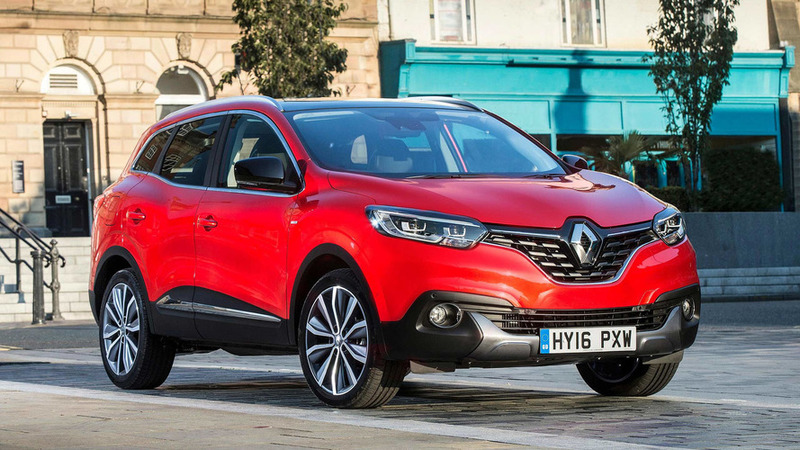 Renault finally joined the 'crossover' sector with the Kadjar towards the end of 2015. The company had bizarrely steered clear of one of the fastest-growing car markets despite having access to an appropriate platform via its parts-sharing agreement with Nissan. The Kadjar is based on the Nissan Qashqai chassis, but it’s larger, and high-end models are cheaper, making it a sensible choice for value. 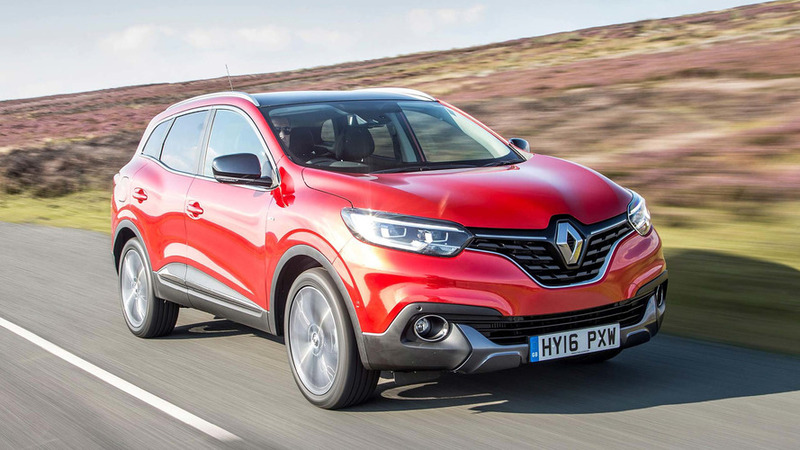 That the Kadjar offers good value for money is beyond doubt. It has efficient engines and low emissions, plus four-wheel drive and automatic versions, but all are competitively priced against the competition. It lacks much meaningful performance in any guise, lacking overtaking pace and making life on faster roads hard work at times, but it’s well stocked with technology and has a bigger boot than many crossovers in this size class. The Kadjar is a sensible buy. 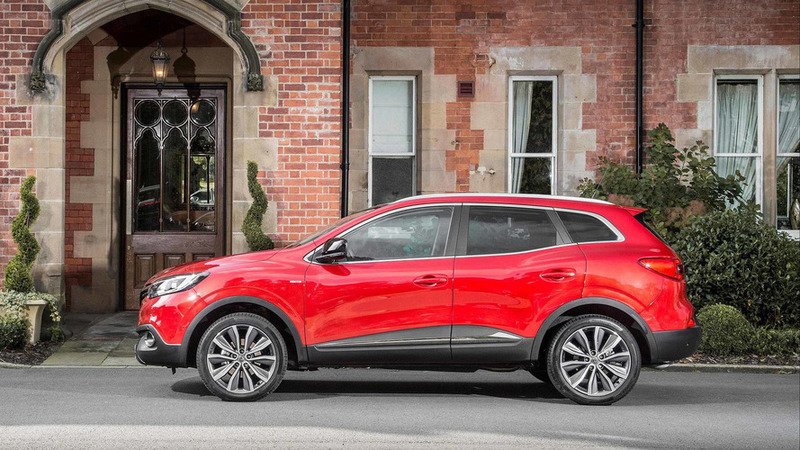 The Kadjar is a sleek crossover with svelte curves over its wheel arches and a pleasantly simple but stylish window line. It’s not as basic to look at as some others in the class and, with larger alloy wheels, the initial impression is pretty positive. On the other hand, with the ever-enlarging Renault badge as the nose and the lower line of the upper grille as the mouth, the Kadjar has something of a unique look at the front, and if that’s the first thing you see, you’ll never be able to see it any other way. Better to focus on the subtle, light-accentuating bulges in the doors and bonnet; more delicate and better-executed than sharp creases. The nod to off-road ruggedness is carried out well, too, with slim grey plastic trim around the wheelarches and a curiously but stylishly shaped matching side sill. One other thing to note in terms of the design is how far the rear doors extend over the back wheels. The base of the door is short, and that means the access point to the rear seats isn’t as wide or practical as it could and should be. There are two grades of seats. The more basic cloth-covered ones have slightly less padding and are flatter across the base, while the leather upgrades are a little more cushioned with better shape and all round support. The latter are the more comfortable seats in a back-to-back sitting, but even the most basic Kadjar has height adjustment on the driver’s seat and lots of movement in the steering wheel, too, so finding a comfortable driving position is easy in any version. The interior design is a little bland and plasticky, for all its apparent solidity. The dashboard is nicely accented with silver-coloured air vent surrounds, a design tactic none the worse for being used before, but the centre console looks cheap and basic for a car of this value. Even the sharp media screen on most models can’t offset its own bland, grey plastic housing that looks a generation behind the times. Renault has laid the controls out in a logical, driver-friendly way and the digital instrument cluster is a nice, premium touch - although the large fuel gauge blocks are less precise than an analogue gauge. A curious feature is the extra passenger-side grab handle at knee height, which is of no practical use whatsoever. An under-floor compartment is a handy feature in the boot. On high trim levels, as well as a couple of hooks for shopping bags, there are two levers that fold the 60:40-split rear seats remotely. At the side of the generous boot are deeper pockets for keeping smaller bits and pieces from rolling around, although there’s a 55-litre difference between the theoretical liquid volume of the boot and the result from the official method of volume measurement that all manufacturers use. Automatic transmissions are available for drivers whose preference lies that way, and such a move makes the Kadjar all the easier to manage in low-speed traffic. There is also four-wheel drive, and while Renault makes no pretence towards this being a proper off-roader, it does have more ground clearance than the average mid-size hatchback, which will matter to people who live along rutted or unsurfaced lanes. Renault has standardised the digital speedometer readout right down to the basic Expression+ model, and while air conditioning is about as fancy as the general equipment list gets at the entry level, there’s a clear bias towards connectivity. 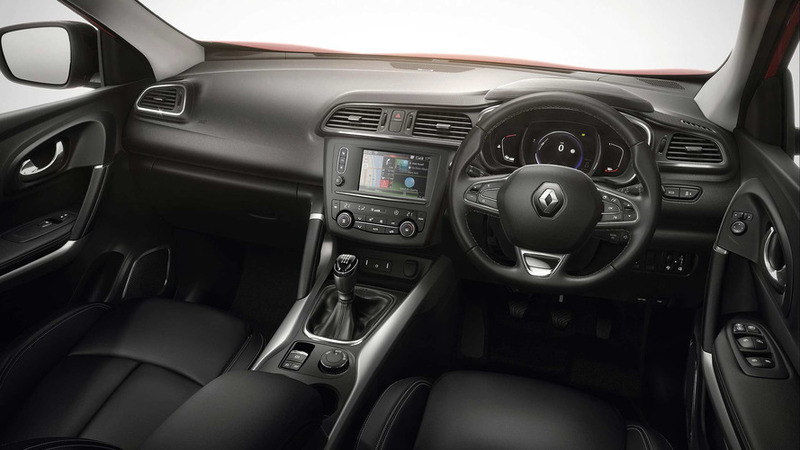 No Kadjar driver should ever have to make an illegal phone call thanks to standardised Bluetooth, and they shouldn’t get too bored on their commutes, with FM, AM and DAB digital radio all included, along with an AUX socket and USB port. However, to get the 7in touchscreen, buyers need to step up a grade to Dynamique Nav, and it’s a worthwhile move because they will also get dual-zone climate control, sat-nav, automatic headlights and windscreen wipers, keyless entry and start, limited voice control functions and lumbar support on the driver’s seat. This is rightly a very popular trim level for the Kadjar. Highlights further up the range span front and rear parking sensors, full-LED headlights, an adequate if not exceptional Bose sound system, a rear parking camera and heated seats. 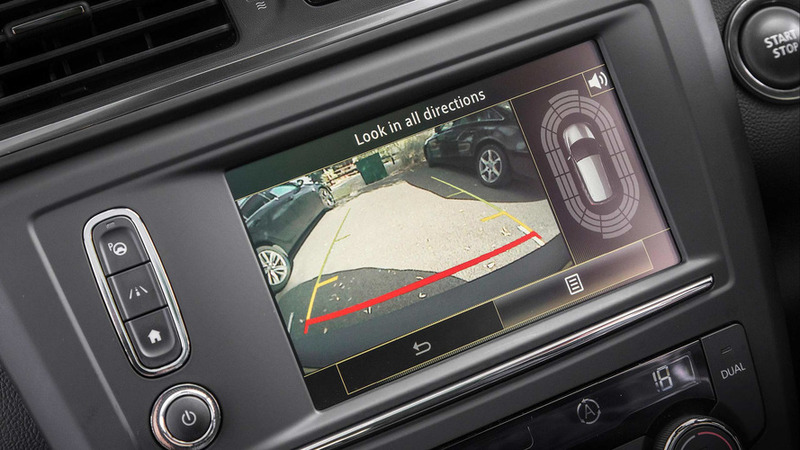 On the highest grade there’s also automated ‘hands-free’ parking that can manoeuvre the Kadjar into parallel, perpendicular and canted spaces with the driver only needing to make gear changes and gentle throttle inputs. There's nothing to get excited about here, but the Kadjar's engines - shared with the Nissan Qashqai - do a solid job. There’s a good case for petrol power; it's cheaper to buy, faster to warm up and with no potential diesel particulate filter issues, the TCe engine is a smooth and refined unit with good initial punch in the lower gears. 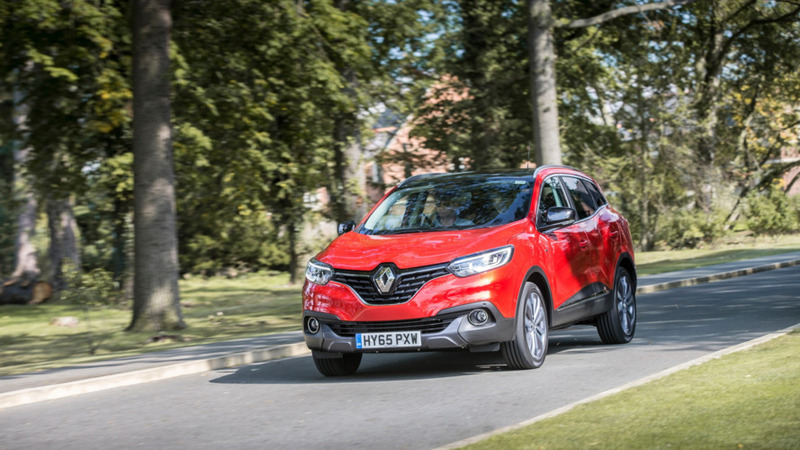 The diesels will be the more popular option given that these are going to be family work horses, and while a bit coarse-sounding if you rev them out, both the 1.5 and 1.6 diesel engines will do a good job of propelling the Kadjar about without having to leave the comfortable mid rev-range. Given that the 1.6 is hardly a fireball of performance, though, we'd save the cash and go for the cheaper 1.5. 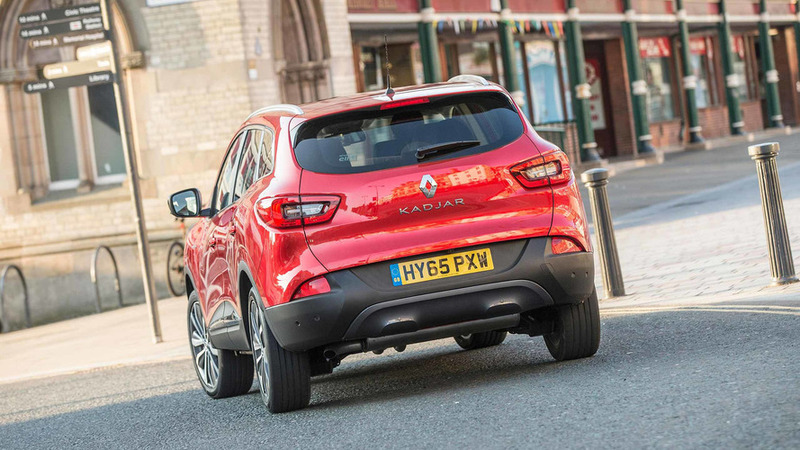 Handling is secure and predictable, but the suspension isn’t well-enough tuned to deal with poor road surfaces, where the Kadjar gets skittish and crashy. On the larger, 19in wheels it turns in to corners with a little more bite, but in that configuration the handling tends to suffer more through bumpy corners. A Qashqai or Skoda Karoq both ride more comfortably, and a Seat Ateca handles with more finesse. 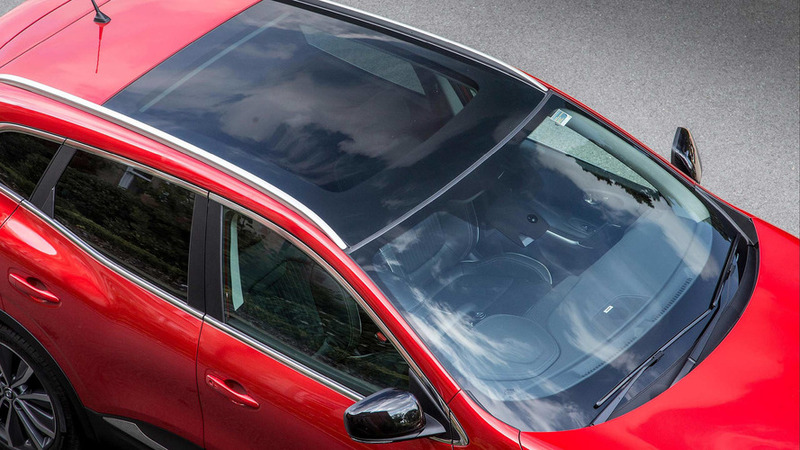 The Kadjar’s safety equipment list makes impressive reading. Basic Expression+ has a speed limiter, a suite of braking safety assist systems more for preventing understeer and skids, but the next grade up, Dynamique Nav, has a bundle that includes lane departure warning, traffic sign recognition and automatic main beam control. It also adds cornering fog lights that help illuminate the inside of the road around bends and roundabouts. Seeing even a few active safety systems standardised in the mid-priced models is great news for families searching for the best protection for their kids. Blind Spot Warning isn’t offered until the top trim grade, though, and nor is a reversing camera. Automated parking is a nice addition and should reduce the chances of a low-speed ding in the hands of a dozy parker. There are three levels of paint finish: standard, which consists of the unflattering, solid Glacier White, metallic, of which there are five shades, and Renault i.d. special metallics, with two options. Most of the options are quite dull and don’t add anything to the Kadjar. Mercury, a silver, and beige Dune look terrible on the car, adding blandness instead of style. Arctic White, one of the two Renault i.d. paints, is just as bad. The three to go for are Diamond Black metallic, stunning Cosmos Blue metallic and the launch colour, gorgeous Flame Red, which is the second Renault i.d. colour. Of the four trim levels, the entry-level Expression+ is the only one to avoid. It’s easily swerved because its steel wheels stand out like a sore thumb, so sticking to models with alloy wheels is a good start. At least Expression+ has a full spread of connectivity, but on the other hand, without a modern touchscreen to operate it through, its usefulness and practicality is reduced. Dynamique Nav makes drivers’ lives easier with navigation, a touchscreen media interface, dual-zone climate control and automatic activation for the headlights and windscreen wipers. This makes a good family car without breaking the bank. Dynamique S Nav has its own 19in wheel design for a sportier, more aggressive design, and it’s also the first to get an adjustable boot floor, while the two Signature models have recognisable LED headlights and leather upholstery - half-leather for the Signature Nav and full for the Signature S Nav. The two Signature models look much the same, but tell-tale signs of an S include a reversing camera on the tailgate. 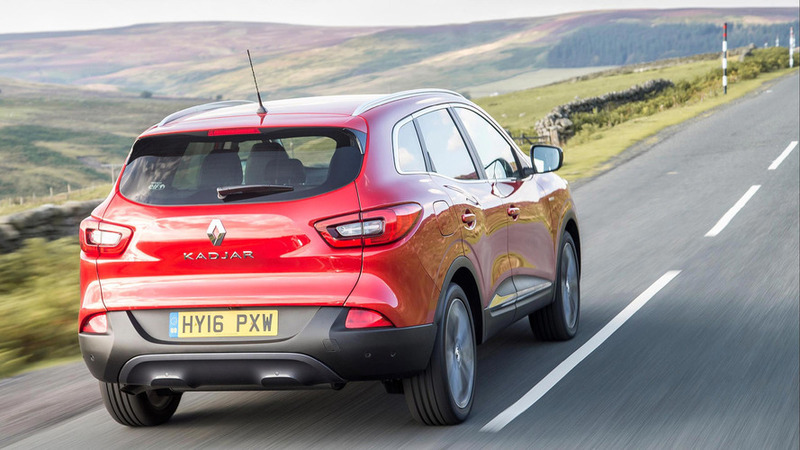 If you’re used to the size of the Nissan Qashqai, the Renault Kadjar will be familiar to you. It’s more than two metres wide with door mirrors, which is something you need to watch, but the sub-4.5 metre length makes it easier to park than you might expect. Despite being slightly larger than the Qashqai, the Kadjar has no more power. That’s not a good thing for performance, because the Nissan is hardly a rocket ship as it is, but it’s potentially a good thing for efficiency. The cheaper diesel, a 1.5-litre dCi that has been developed and improved over many years in various guises, is officially capable of over 70mpg with a mix of careful, planned driving. In practice its real fuel economy score depends on its usage patterns. Lots of cold starts, short trips and traffic will see miles per gallon in the low 40s, but lots of faster roads won’t help, either, as the engine simply has to work too hard. Its comfort zone is 30-60mph, where at a gentle cruise it can record spectacular efficiency. All models will attract the same £140 annual road tax bill after the first year, under the April 2017 tax structure changes. The petrols and diesels should, fuel economy aside, cost a similar amount to maintain, but cars with 19in wheels will be more expensive for tyres. 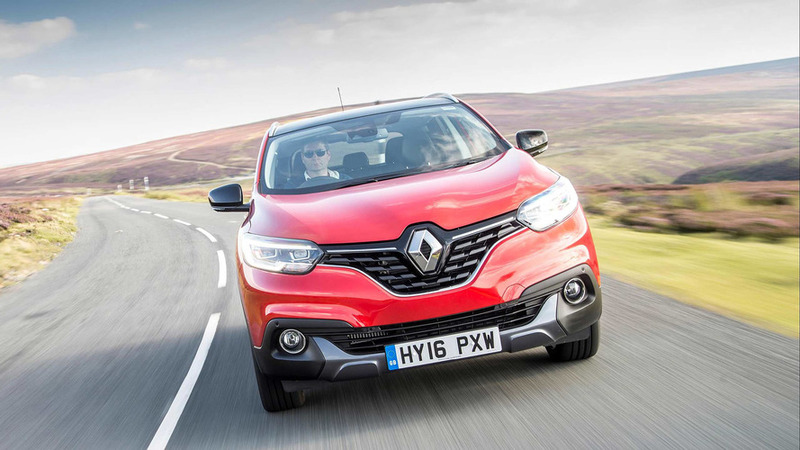 Although the Kadjar finished in the middle of the table for reliability in the 2016 Driver Power survey, its sister car, the Nissan Qashqai, finished dead last. It will be interesting to see how the Kadjar does in the 2017 survey; to see whether Renault has been able to improve the long-term reliability over the Nissan or not. Owners seem to love the young Renault, though. While the cheapest Kadjar is more expensive than the equivalent Qashqai, the better models are actually cheaper. 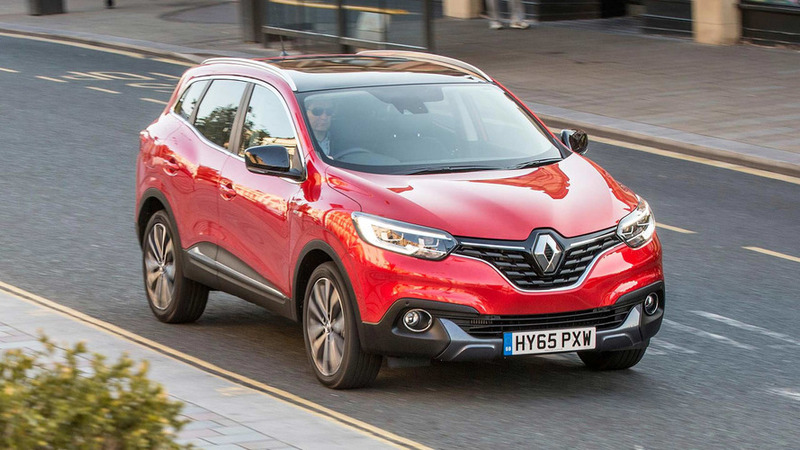 The Qashqai has a nicer interior and the Kadjar is left way behind by the likes of the Volkswagen Tiguan in that respect, but the Renault is very well priced for the amount of technology it offers. Some much more expensive cars can’t even match its array of communications and safety gear, let alone beat it. The range starts at £19,145 followed by a worthwhile £1700 jump to Dynamique Nav, a further £900 to upgrade to Dynamique S Nav and then £1200 and £1400 to move to Signature Nav and Signature S Nav respectively. The cheapest Signature S Nav is £24,345. The one real annoyance with the pricing structure is the gap between petrol and diesel. A manual, two-wheel drive TCe 130 petrol, in Dynamique S Nav trim, costs a very reasonable £21,745, but to switch to the dCi 130 diesel asks a plainly unfair extra £3100, which seems poor value for money. Few drivers, even high-mileage drivers, are likely to recoup all of their extra investment in fuel cost savings.